The Caravan and Motorhome Club has developed alliances with organisations we believe have shared interests. We work with these groups on a wide range of initiatives for mutual benefit, as well as to ensure we offer members a choice of enjoyable holiday activities. We also work closely with UK tourism bodies (including VisitBritain, VisitEngland, VisitScotland, VisitWales and the Northern Ireland Tourist Board) to promote domestic tourism. The Club is an active member of the Tourism Alliance, the Scottish Tourism Forum and the Wales Tourism Alliance. To represent our members as motorists, the Club is an active member of the Fédération Internationale de l'Automobile's (FIA's) Mobility Working Groups, the Society of Motor Manufacturers & Traders (SMMT) and the Parliamentary Advisory Council for Transport Safety (PACTS). Sustrans is the charity that's enabling people to travel by foot, bike or public transport for more of the journeys we make every day. Their work makes it possible for people to choose healthier, cleaner and cheaper journeys, with better places and spaces to move through and live in. They co-ordinate the National Cycle Network - made up of 14,700 miles of walking and cycling routes across the UK. This includes a combination of quiet lanes, on-road routes and traffic free paths that are often a great way to get to work, school, the shops or to use for exercise and fun. Around half of all Caravan and Motorhome Club Sites are situated within a mile of a National Cycle Network Route, with many more being within five miles, so there's bound to be a great route for you to explore from your holiday destination. As the largest wildlife conservation organisation in Europe, Royal Society for the Protection of Birds (RSPB)'s vision is a world richer in nature. As well as managing 145 nature reserves, RSPB also works with landowners and farmers to help wildlife in the wider countryside. Many Club Sites are situated within 10 miles of an RSPB reserve, with two Club Sites being Sites of Special Scientific Interest (SSSI). The RSPB is the country's largest nature conservation charity, inspiring everyone to give nature a home. Together with their partners, they protect threatened birds and wildlife so our towns, coast and countryside will teem with life once again. Having recently launched the Stepping Up For Nature campaign, RSPB believes that we all have a responsibility to protect nature. Stepping up to support nature and wildlife across the UK, The Club is the Species Champion of the Skylark, a bird species in dramatic decline. The partnership between The Club and RSPB aims to further enrich your experience at Club Sites, providing information and activities that will bring you closer to nature and wildlife. There are all sorts of ways you can get involved, from visiting one of RSPB's nature reserves to taking part in a citizen science project, such as Big Garden Birdwatch. There are a number of our sites that give you easy access to exploring the reserves and enjoying your free entry as part of your membership. Autumn and winter is a fantastic time to see wildlife at its most spectacular as migrating birds flock to UK shores, forays of fungi create magical woodland walks and starlings fill the skies. RSPB also works with partners on landscape scale conservation projects, creating wildlife corridors across rural and urban spaces so that wildlife has the opportunity to flourish and people have the chance to experience nature close at hand. With over one million members and 18,000 volunteers supporting the work of RSPB, together we can save nature. The CNP is the national charity that campaigns to protect and promote National Parks in the UK for the benefit and quiet enjoyment of all. Over a quarter of Caravan and Motorhome Club sites are located within, or very close to the UK's National Parks. The Club is a Council member of CNP. The two organisations have been working together on a number of key issues including towing safety and journey reliability. The alliance, which has been formalised in a Memorandum of Understanding, pulls together the various strands of work to agree targets and take forward specific projects. The National Motor Museum Trust at Beaulieu in the heart of the New Forest is the home of The Caravan and Motorhome Club Collection of historical items and memorabilia. 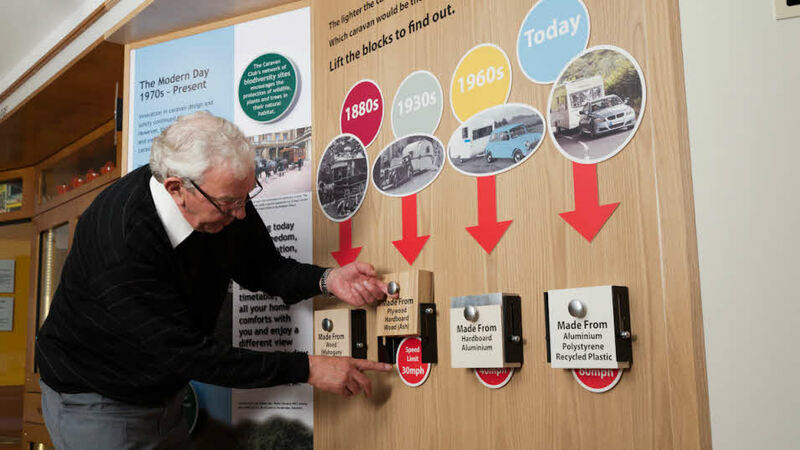 We work closely with them to bring the history of the Club alive, and to highlight the role of the motor car in the development of caravanning. English Heritage is an organisation dedicated to valuing and caring for the historic buildings, landscapes and artefacts that are imbedded in this country's past. By teaching us about our history, English Heritage help us understand its importance and encourage us to look after the heritage assets that exist today - Not just for us to enjoy but for future generations too. With the help of funding, including that from public and government donation, English Heritage are able to protect important and fragile historic assets, such as: Listed buildings, parks and gardens, battlefields, wrecks, places of worship and ancient landmarks such as Stonehenge.